All sires will have OFA hip certifications or preliminary OFA hip certifications, EIC and CNM certification. These sires will have a proven Hunt Test or Field Trial pedigree and may also have earned titles themselves. 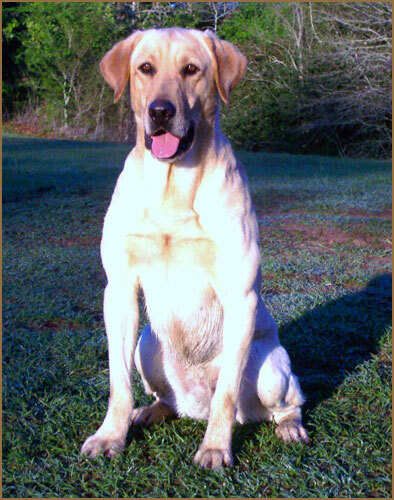 Their pedigree will strongly demonstrate Hunt Test/Field Trial titles within three generations. Thunder received 41 Derby Points in 2008. He had 5 wins, 13 places, and 8 Jams. 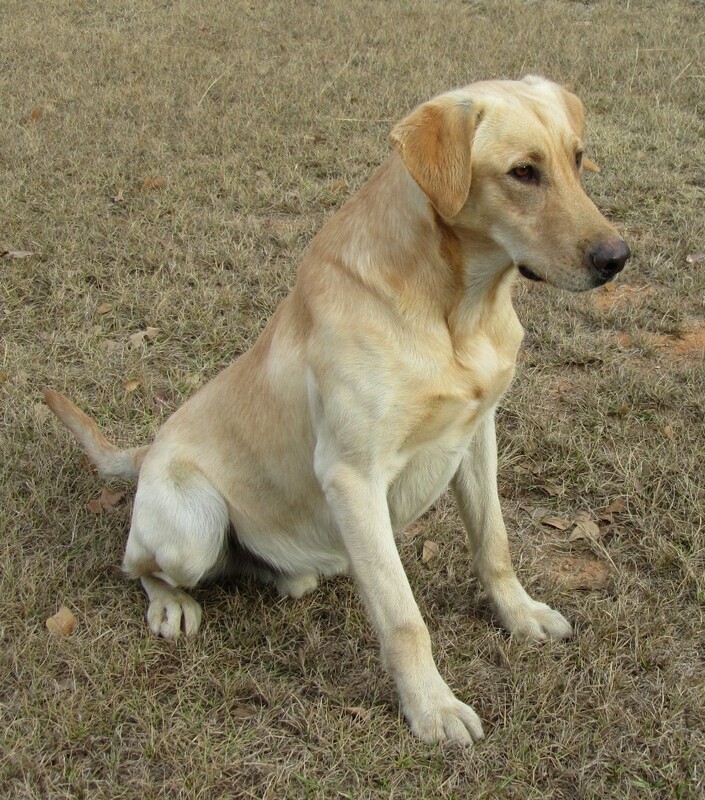 Thunder was the number two yellow Derby dog of 2008. In Spring 2009, Thunder placed 4th in a 60 dog Qualifying at the PRTA trial. He also won the Qualifying at the Rockwall Trial. Thunder won two Qualifyings on the same weekend in January 2010 at the Triple DQ in Norco, LA. Thunder also finished his first Open in March, 2010. 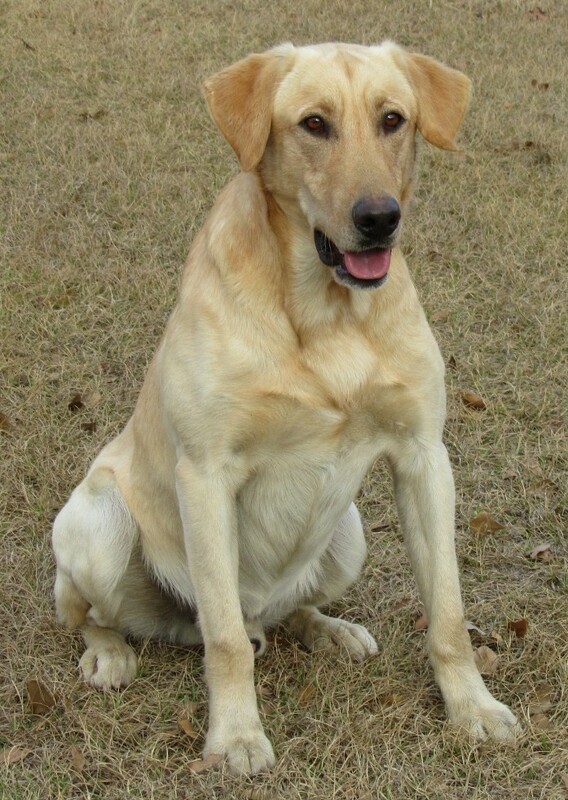 Thunder's first breeding produced a puppy, Landrys Thunder and Glory "Charge", who has two back-to-back third places as a 12-month-old, in March 2010. 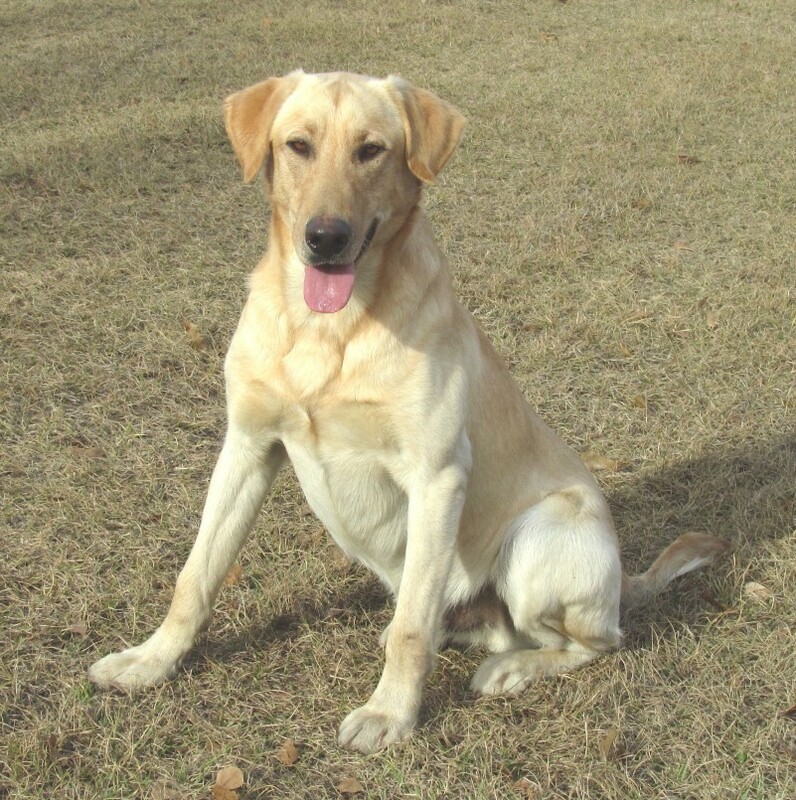 Charge won his first Derby at 14-months-old at the Sooner Retriever Club in April 2010. Charge was ranked #4 on the 2010 Derby list and was the top yellow 2-year-old. Charge was also ranked #4 on the 2011 Derby list and was also the top yellow 2-year-old in 2011. Charge was also QAA in 2012 and has Open placements. Charge's full sister, Visions of the Big Time "Holly", is also on the 2012 Derby list with 14 points, is Qualified All Age with a qualifying win in 2012 and has an Amateur win now. Holly won the Amateur at Piney Woods on 3/30/14. Their full sister, Visions of a Showgirl, is on the Derby list in 2013. Charge is currently ranked fourth on the 2010 National Derby List with 43 points. He is the #1 Yellow 2-year-old in 2010. Charge was also ranked #4 on the 2011 Derby list with 47 points and again was the top yellow 2-year-old Derby dog in 2011. Charge turned 2-years-old in February 2011. Since Charge has turned two, he has run a few Qualifyings, and received a couple of fourth places and a RJ. Charge QAA'ed in 2012. LANDRYS STARS AND STRIPES "Glory"